“He wasn’t cookie cutter, he was like an artist,” Jolene Backman said of her father, custom cabinetmaker Milton Jiro Kanda. When he was 13, Milton asked his parents for a hammer and saw, and started to make crafts on the front porch of their small home. From an early age he showed the qualities of a master craftsman: an agile, creative mind and skill with tools. At Pahala High School Milton’s favorite subject was geometry. His Uncle Minoru spoke to young Milton and encouraged him to think about his future. That talk, along with encouragement from his shop teacher, led Milton to study woodworking at the Milwaukee Vocational School in Wisconsin. Milton was drafted in the U.S. Army at the end of the Korean War, serving as an infantryman in Germany. When he returned to Hawaii, he tried a variety of jobs, eventually building rattan furniture. Most importantly, he married Edith Yoshida at Higashi Hongwanji Temple in 1956. The couple had known each other since their days as classmates at Pahala High School. Edith studied at the University of Hawaii to become an elementary school teacher. “We were playing poker, and a cousin said you should get married,” Edith recalled. 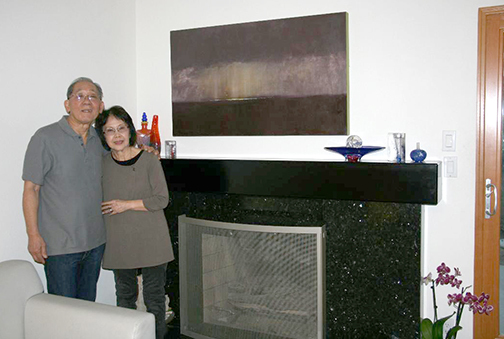 Milton and Edith Kanda moved from Hawaii in 1957 and eventually settled in Orange County. Edith described the discrimination they faced as Japanese Americans. She remembered a real estate salesman who refused to sell to Asians in a neighborhood tract in Westminster. Milton took note of the agent and later had the opportunity to tell the development owner who happened to come by the cabinet shop he was working at of the racism they experienced. “(Milton) said ‘Hey, you folks don’t sell to Orientals.’ He met the owner at the tract and dad pointed out the salesman, and the owner fired him on the spot. Dad put his name on the list for a home in the tract and, lo and behold, over time there were several other Japanese on that list being considered,” Edith said. In their home in Westminster, Milton started his business, making end tables and coffee tables from castoff doors. Milton and Edith had their first child Stacey, the same year he opened his first shop in what was a converted chicken coop. He would later move to a larger shop in Costa Mesa where he opened Milton’s Cabinets. Two more children — Wayde and Jolene — followed. For most of his youth, Wayde worked alongside his dad as his assistant. He said it was difficult and grueling; Wayde would often miss hanging out with friends. “I would help out wherever, all aspects from cutting to sanding to staining to applying lacquer, to installing cabinets,” Wayde said. Milton didn’t advertise but his business grew through word of mouth. 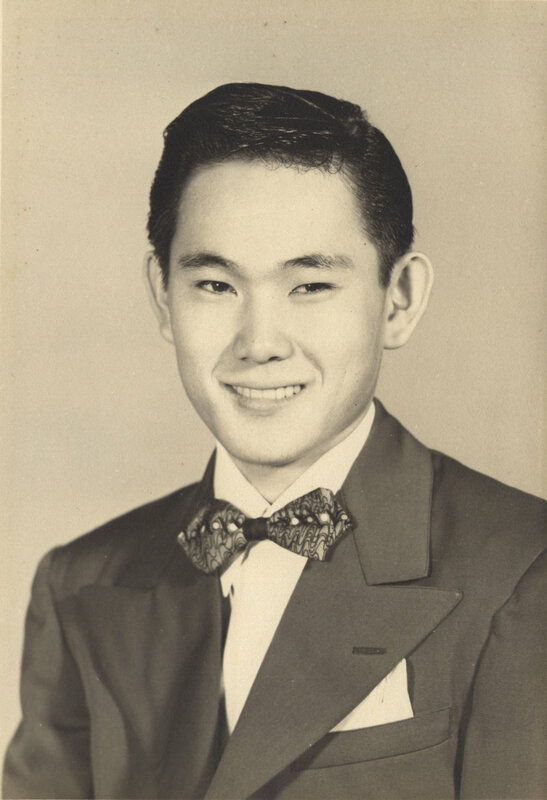 Japanese American families were among his customers. He also worked for developers of apartments and homes. Gary Furumoto worked with Milton for 12 years from 1979 to 1991, starting out as a gofer, but eventually becoming the manager of the shop. “He was very particular, which I am too, which is why we got along so well. He wanted everything to be exact and perfect, it was what I always wanted, it stuck in my head, he was perfectionist,” Furumoto recalled. Ellen and George Mabuni hired Milton to work on their home in Cerritos in the 1990s. Milton raised the ceiling of their kitchen, designed cabinets throughout the home and created a centerpiece in their living room, an asymmetrical fireplace. “He doesn’t make it simple, I would call him more an architectural designer, so talented It brings tears to my eyes, warms my heart,” Ellen said. Ellen’s father was a building contractor on the Big Island, so she appreciated Milton’s mastery of his craft. “I love architecture and I love people who build things because I was raised that way. We used to go to the lumber yard. So, I have a passion for that and Milton was really just unbelievable,” she said. Milton was busy working on jobs everywhere from Newport to Redondo Beach, Laguna Niguel and Las Vegas. Higher-end clients also flocked to the craftsman, including actor Alan Alda and the manager of Caesar’s Palace in Las Vegas. Some of Milton’s clients had rather unusual requests that required his ingenuity. He would be asked by clients to build secret compartments to hide things like guns and devise hidden entries to rooms. Stacey described one home where her father had built a secret entrance hidden in a bookshelf. Furumoto recalled working on the home of a bookie in Southern California. Milton and grand daughter Allyson Yoshinaga. Milton was devoted to his family and would build toys such as wooden stilts and box kites for his children and grandchildren. He built a playhouse in the backyard. His daughter Jolene recalled her dad building her a balance beam for gymnastics and a laminated wooden board to practice tap dancing. “Family was really important to dad,” Stacey remembered. Granddaughters Allyson and Amy Yoshinaga treasured the time they spent with jiichan, recalling their Thursday ritual. He would go to McDonald’s for Happy Meals and bring them to his shop, where they would then have lunch after school. It got so that the workers at McDonalds would always have the orders ready for him. In his later years, his age was slowing him down and Milton sold the shop in 2012. Sadly, there was no one to continue the business, so the tools and equipment were brought back to his home. Furumoto said his years working for Milton profoundly impacted his life. Milton passed away on July 4, 2014. He leaves a lasting legacy in the love of his family and the exquisite woodwork that remains to this day. “I constantly meet people who say I think your dad did our cabinets,” Stacey said. Ellen Mabuni said she sees Milton’s artistry everyday in her home. “What gifted, gifted person. We referred him to other friends and we just loved him,” she said.